While we work on the Community Life Center, the land purchased is currently home to our Greenhouse Project – an 800-square-foot greenhouse coupled with several acres of outdoor crops. Strawberries, cabbage, peppers, beans, lettuce and tomatoes all inhabit the land, sourced with local water that we dug and reached a few years ago at just 90 feet below the surface. With the region’s warm climate, crops are grown year-round. Learning agriculture through seasonal employment is one benefit to residents of the community; yet, one of the most important impacts of the Greenhouse Project is provision of food to widows in the community. We are working hard toward that, and in the meantime utilize crops for the Life Cafe meals. We also intend to experiment with newer, more sustainable farming methods like aquaponics (raising water animals with water-based plants in a symbiotic relationship). Experimenting in these areas is one way that community development takes place. To put the empty farmland to good use. 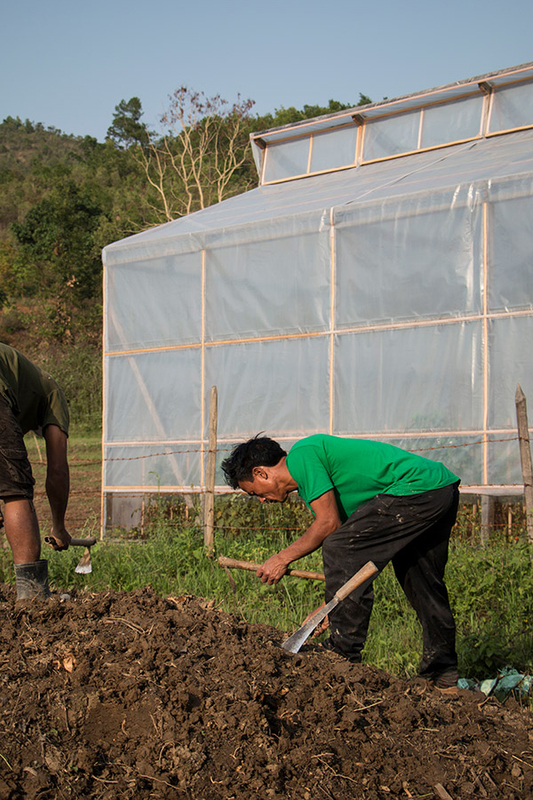 The part of the land where we have built our greenhouse will most likely be untouched by the Community Life Center project for at least five years, since it is the part of the land that will be developed last. To provide vegetables for Life Cafe. Life Cafe is one of our community development projects in Northeast India. 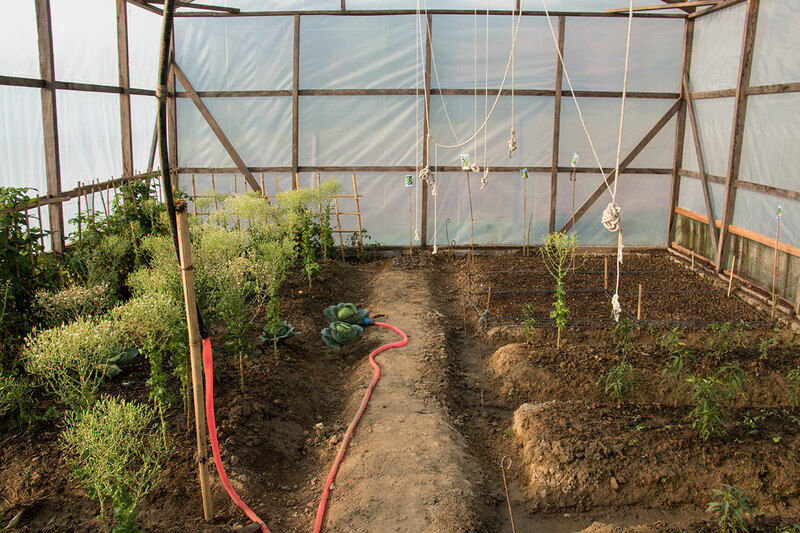 The Greenhouse Project provides vegetables for the cafe and helps reduce the costs of operating the cafe. To provide assistance to widows. The long-term vision of this project is to develop a small network of widows who will be able to buy the vegetables, basically at our cost, and sell them in the local market, thus providing income for them and their families. 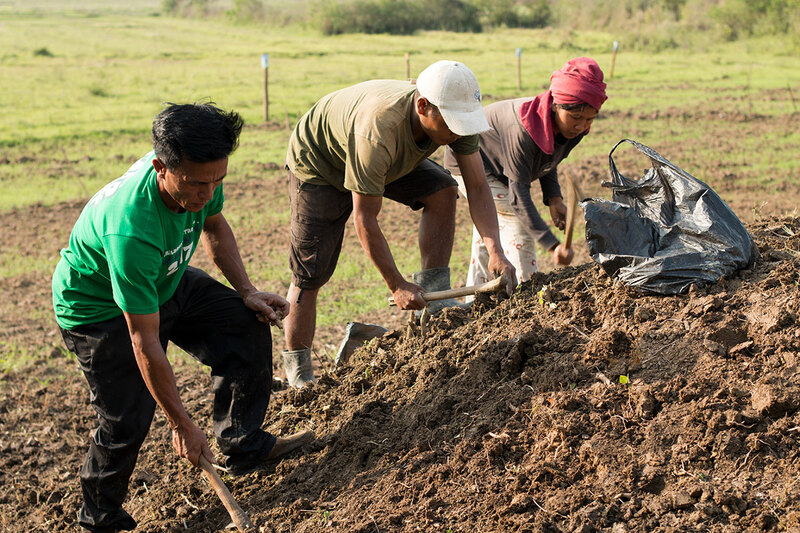 As the project grows, there will also be work opportunities at the farm in planting, harvesting, and caring for the plants. This will provide seasonal work for a number of people. To experiment with various growing methods and crops. Our goal is to keep growing this project. We would like to experiment with aquaponics and a variety of different crops, especially those that are not commonly found here. When the community expands its jobs base and resources, we know growth overall will continue to take place. FOR ONE LIFE is a non profit organization that was founded to help businesses, schools, churches, youth groups, and individuals, partner financially with building projects in India and around the world, with a primary focus on schools and children’s homes.